The Martha Stewart 1-1/4 in. Polished Nickel Finial Knob can quickly add beauty to your cabinetry. The polished nickel finish offers a clean, fresh look. Installation hardware is included. 33mm Finial Knob The Martha Stewart 1-1/4 in. 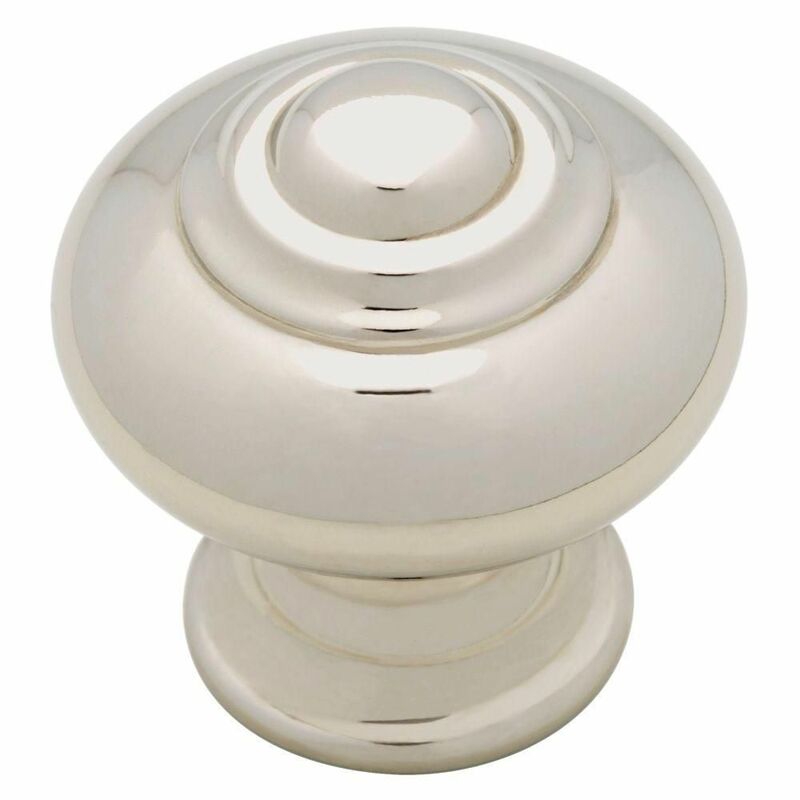 Polished Nickel Finial Knob can quickly add beauty to your cabinetry. The polished nickel finish offers a clean, fresh look. Installation hardware is included. 33mm Finial Knob is rated 4.7 out of 5 by 18. Rated 5 out of 5 by Whistlepig from Painted my lower kitchen cabinets dark grey and added these beautiful knobs and pulls. Knobs are ... Painted my lower kitchen cabinets dark grey and added these beautiful knobs and pulls. Knobs are classic and sophisticated and actually feel comfortable to use. Definitely a good buy. Very pleased! Rated 5 out of 5 by Happy1 from I wanted a cabinet/draw knob that would match my stainless steel appliances. The polished nickel ... I wanted a cabinet/draw knob that would match my stainless steel appliances. The polished nickel finish is perfect! Not too bright like chrome. Subdued and elegant. Nicely made too. They look beautiful in my kitchen. I would buy these again. They came with 2 different lengths of screws too, one for a draw and one for a cabinet depending on where you are putting it. Rated 5 out of 5 by NanaR from Perfect for my bathrooms and laundry room cabinets.... Perfect for my bathrooms and laundry room cabinets. Rated 5 out of 5 by Larry from Great product. Looks nice.... Great product. Looks nice. Rated 5 out of 5 by Wendy from Very pretty on our Navy Blue cabinet!... Very pretty on our Navy Blue cabinet!